The tax incentives under I.R.C. §1202 provide taxpayers with an opportunity to maximize potential tax savings, while making investment in small businesses more attractive. Historically, §1202 has allowed for a 50% exclusion for gains recognized with respect to the stock of qualified small business corporations that are not S corporations. Legislation enacted in late 2010 once again temporarily increased the exclusion on QSBS to 100% on purchases made after September 27, 2010 and before January 1, 2014. 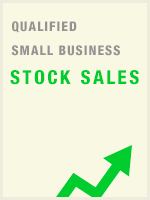 However, in order to realize the benefits afforded under this provision, careful navigation of the many complex rules related to the acquisition and subsequent sale of qualified small business stocks is needed. This provision expired at the beginning of January 2014 and, unless reenacted retroactively, the exclusion returns to 50%. Identify what gains are eligible for exclusion under §1202. Define current tax treatment of QSBS. Calculate a five-year holding period. Identify operating rules related to pass-through entities. Determine how to offset short positions and application limitations of §1202.